Here are our answers to frequently asked question. Please, check if you can find the answer to your question here before contacting us. Why should I invest in Bitcoin? Bitcoin is a great investment opportunity. Someone says that investing in Bitcoin is like investing in gold because it is portable, divisible, durable and, because of how it is generated, there will be a limited supply of it. So its value should increase over time like gold’s value. If you use our site you can get your first free bitcoins and you will then see their value increasing, if such prediction is correct. And please remember that investing in Bitcoin may also led to losses. So, if you’re thinking to invest your “traditional” money in Bitcoin don’t invest more than you can afford to lose. 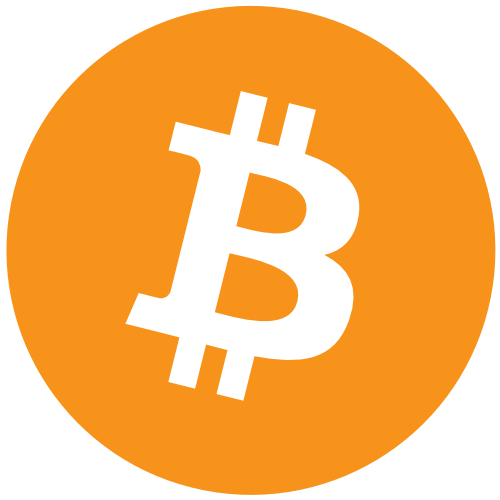 Bitcoin is a digital currency where encryption techniques are used to regulate the generation of units of currency and verify the transfer of funds. The system on which Bitcoin relies operates independently of a central bank. It’s a decentralized peer-to-peer payment network powered by its users with no central authority or middlemen. To simplify, from a user perspective, Bitcoin is like cash for the Internet. A Satoshi (in honor of Satoshi Nakamoto, the inventor of Bitcoin) is the smallest fraction of a Bitcoin that can currently be sent. 1 Satoshi equals 0.00000001 BTC, that is, a hundredth of a millionth BTC. A faucet is a website that gives free bitcoins as reward for doing a simple task, such as clicking on an ad, solving a CAPTCHA or viewing a page for a certain time. Litecoin is a digital currency where encryption techniques are used to regulate the generation of units of currency and verify the transfer of funds. The system on which Litecoin relies (as for Bitcoin) operates independently of a central bank. It’s a decentralized peer-to-peer payment network powered by its users with no central authority or middlemen. To simplify, from a user perspective, Litecoin is like cash for the Internet. A Litoshi is the smallest fraction of a Litecoin that can currently be transferred between wallets. 1 Litoshi equals 0.00000001 LTC, that is, a hundredth of a millionth LTC. A faucet is a website that gives free litecoins as reward for doing a simple task, such as clicking on an ad, solving a CAPTCHA or viewing a page for a certain time. Ethereum, like Bitcoin, is a distributed public blockchain network with some significant technical differences. The most important to note is that Bitcoin and Ethereum differ substantially in their purpose and capability. Bitcoin offers one particular application of blockchain technology, a peer to peer electronic cash system that enables online Bitcoin payments. While the Bitcoin blockchain is used to track ownership of the digital currency (BTC), the Ethereum blockchain focuses on running the programming code of any decentralized application. In the Ethereum blockchain, instead of mining for BTC, miners work to earn ETH, the crypto token that fuels the network. Beyond a tradeable cryptocurrency, ETH is also used by application developers to pay for transaction fees and services on the Ethereum network. A Satoshi is a fraction of Ethereum that equals 0.00000001 ETH, that is a hundredth of a millionth ETH. How does the free Bitcoin miner works? Through a browser-based script the free Bitcoin miner uses your CPU for solving hashes to mine Monero (XMR). We then exchange the Monero mined by you to Bitcoin and send the BTC to your wallet. Our free Bitcoin miner uses your CPU to mine XMR instead of Bitcoin because to mine Monero you have to calculate hashes with an algorithm called Cryptonight. This algorithm is very compute heavy and was designed to run well on consumer CPUs making CPU mining of Bitcoin more efficient than mining BTC directly. How much can I earn with the free Bitcoin miner? Your earnings with the free bitcoin miner depend mainly on the CPU power of your device. The more powerful it is and the more Bitcoin you will earn. If you have more devices, you can use them all to mine BTC using our free bitcoin mining system. Simply login from each of your devices using the same BTC address and start the Bitcoin miner to increase your earnings. The amount of Bitcoin that you can earn will also vary from time to time depending on the Monero mining difficulty and on the Monero to Bitcoin exchange rate. If Monero mining difficulty rises the number of hashes to solve to get 1 BTC will increase while if the Monero to Bitcoin exchange rate rises the number of hashes to solve to get 1 BTC will decrease. Can I use more than one Bitcoin miner at the same time? If you only have access to one computer or device it is not useful to use more than one free bitcoin miner at the same time. If you have access to more than one computer or device you can open the free BTC miner page on each of the computers and devices, login with the same BTC address and start the miner on all your computers and devices. In this way you will solve more hashes at the same time and earn more Bitcoin. Please, take into account that when the miners are working, in the “Stats” section of each browser window you will see the hash power and mined hashes of that single computer or device while the balance shown, that updates about every 5 minutes, is calculated for all the computers and devices together. So when the “Withdraw” button is enabled you can withdraw only from one computer or device. If you try to withdraw from all the devices only the first withdrawal started will be completed and the other will return an error. Please, don’t try to cheat our system as you may be banned also by faucethub.io, our payment provider. How does the free Litecoin miner works? Through a browser-based script the free Litecoin miner uses your CPU for solving hashes to mine Monero (XMR). We then exchange the Monero mined by you to Litecoin and send the LTC to your wallet. Our free Litecoin miner uses your CPU to mine XMR instead of Litecoin because to mine Monero you have to calculate hashes with an algorithm called Cryptonight. This algorithm is very compute heavy and was designed to run well on consumer CPUs making CPU mining of Litecoin more efficient than mining LTC directly. How much can I earn with the free Litecoin miner? Your earnings with the free Litecoin miner depend mainly on the CPU power of your device. The more powerful it is and the more Litecoin you will earn. If you have more devices, you can use them all to mine BTC using our free Litecoin mining system. Simply login from each of your devices using the same LTC address and start the Litecoin miner to increase your earnings. The amount of Litecoin that you can earn will also vary from time to time depending on the Monero mining difficulty and on the Monero to Litecoin exchange rate. If Monero mining difficulty rises the number of hashes to solve to get 1 LTC will increase while if the Monero to Litecoin exchange rate rises the number of hashes to solve to get 1 LTC will decrease. Can I use more than one Litecoin miner at the same time? If you only have access to one computer or device it is not useful to use more than one free litecoin miner at the same time. If you have access to more than one computer or device you can open the free LTC miner page on each of the computers and devices, login with the same LTC address and start the miner on all your computers and devices. In this way you will solve more hashes at the same time and earn more Litecoin. How does the free Ethereum miner works? Through a browser-based script the free Ethereum miner uses your CPU for solving hashes to mine Monero (XMR). We then exchange the Monero mined by you to Ethereum and send the ETH to your wallet. Our free Ethereum miner uses your CPU to mine XMR instead of Ethereum because to mine Monero you have to calculate hashes with an algorithm called Cryptonight. This algorithm is very compute heavy and was designed to run well on consumer CPUs making CPU mining of Ethereum more efficient than mining ETH directly. How much can I earn with the free Ethereum miner? Your earnings with the free Ethereum miner depend mainly on the CPU power of your device. The more powerful it is and the more Ethereum you will earn. If you have more devices, you can use them all to mine ETH using our free Ethereum mining system. Simply login from each of your devices using the same ETH address and start the Ethereum miner to increase your earnings. The amount of Ethereum that you can earn will also vary from time to time depending on the Monero mining difficulty and on the Monero to Ethereum exchange rate. If Monero mining difficulty rises the number of hashes to solve to get 1 ETH will increase while if the Monero to Ethereum exchange rate rises the number of hashes to solve to get 1 ETH will decrease. Can I use more than one Ethereum miner at the same time? If you only have access to one computer or device it is not useful to use more than one free ethereum miner at the same time. If you have access to more than one computer or device you can open the free ETH miner page on each of the computers and devices, login with the same ETH address and start the miner on all your computers and devices. In this way you will solve more hashes at the same time and earn more Ethereum. Faucets use different payment methods. Some of them pay you immediately directly to your wallet. Other pay you directly to your wallet once you have accumulated a certain balance (to reduce network transaction fees). In most cases they send your rewards to you through a microwallet system like microwallet.org, FaucetBox, Paytoshi, epay etc. Microwallet systems automatically create an anonymous account for you associated to your wallet address where rewards from the different faucets are collected. Once your account reaches the threshold balance for sending you the payment, they send you the money you accumulated directly to your wallet. All this is done to reduce the number of transactions and make you save money on network transaction fees. Why do actual faucet earnings and time between claims differ from the ones shown in the rotator? Faucet owners from time to time may change rewards and time between claims based on the value of BTC and on their earnings from the faucet. We check faucets regularly and update faucet rewards and time between claims but it takes some time to do this work and therefore it is possible that actual rewards and time between claims differ from those reported in our faucet surfer. If you find differences and want to help us please, use the contact form to report them to us. Thank you. Why do I find faucets that do not pay me? Faucets may stop working if their losses are greater than their earnings and their owners decide to shut them down. Everyday some faucets close and new ones open. We check all faucets in the rotator regularly to verify if they are really paying but it takes some time to check them all. Therefore it is possible that you can find some of them that do not pay the rewards any more. How much can I earn with the Bitcoin faucet rotator? how many sites you visit: the more you visit the more you earn. luck: many sites offer random rewards between a minimum and maximum one. If you are lucky you and get all maximum rewards you can even earn up to 1 BTC per day. All rewards are displayed in the top bar of Bitcoins43 site rotator. BTC value and the faucets earnings: most of the faucets change their rewards based on BTC value and on their earnings.When BTC to USD value increases, faucet owners tend to reduce the amount of the rewards while when their earnings from advertising increase, they tend to increase rewards. Therefore we suggest you to click on faucet ads to make faucet owner increasing the rewards. How much can I earn with the Litecoin faucet rotator? luck: many sites offer random rewards between a minimum and maximum one. All rewards are displayed in the top bar of Litecoin faucets rotator. LTC value and the faucets earnings: most of the faucets change their rewards based on LTC value and on their earnings.When LTC to USD value increases, faucet owners tend to reduce the amount of the rewards while when their earnings from advertising increase, they tend to increase rewards. Therefore we suggest you to click on faucet ads to make faucet owner increasing the rewards.